, and today we’re sharing our new location for the Google Maps Platform blog. Our new home will continue to provide the latest Google Maps Platform product news, how to tutorials, perspectives and customer stories that you’re used to, all available on a new, mobile-friendly platform. The new blog also designed to make it easier for you to find exactly what you’re looking for. What’s not new is our goal: to provide you with straightforward, technical content to show you how to build your solutions with Google Maps Platform. To date, we’ve migrated over two year’s worth of Google Maps Platform blog posts to this new home, with more to come. We hope you continue to follow us at our new location. 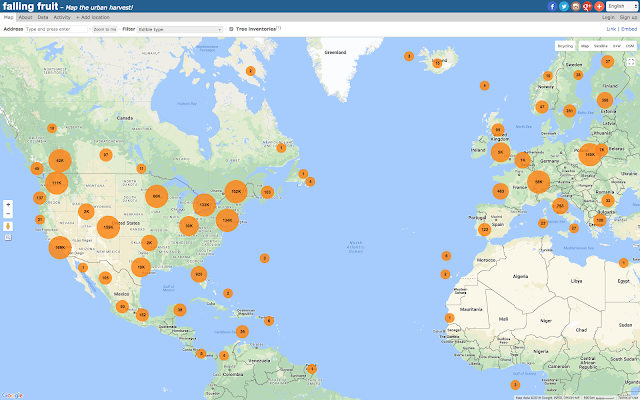 Over ten years ago, we wrote our first post on our Geo Developers blog, and today we’re sharing our new location for the Google Maps Platform blog. Our new home will continue to provide the latest Google Maps Platform product news, how to tutorials, perspectives and customer stories that you’re used to, all available on a new, mobile-friendly platform. The new blog also designed to make it easier for you to find exactly what you’re looking for. What’s not new is our goal: to provide you with straightforward, technical content to show you how to build your solutions with Google Maps Platform. To date, we’ve migrated over two year’s worth of Google Maps Platform blog posts to this new home, with more to come. We hope you continue to follow us at our new location. Editor’s note: Today’s post comes from Ethan Welty, Co-founder of Falling Fruit, a nonprofit that helps city dwellers harvest for food in their neighborhoods. 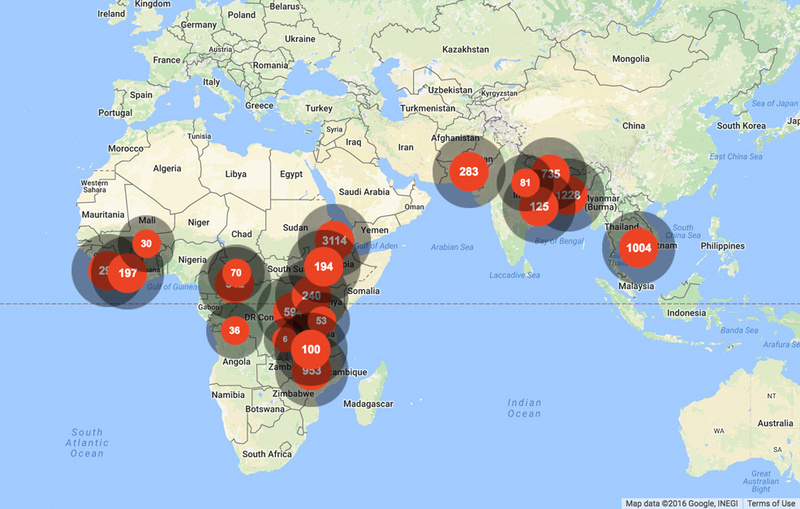 Falling Fruit’s global map marks locations in 111 countries, and its website and mobile apps have been accessed by nearly 1 million people. Falling Fruit was able to access Google Maps Platform through Google for Nonprofits to build its global map.&nbsp Learn more about the products and resources available through Google for Nonprofits. We don’t typically think of cities as places to forage for food. But there is fresh food ready for picking on our city streets if you know where to find it. We created Falling Fruit to help people recover food that would otherwise go to waste. The interactive maps on our website and mobile apps are built using Google Maps Platform, helping us create the bridge between our users and the large amounts of data we collect on food-bearing trees, plants, and other foraging opportunities. My co-founders and I blew minds everytime we harvested fruit in Boulder, Colorado (where we all lived at the time). People said, “Is that edible?” and “I never noticed those were apples!” Excited by our delicious discoveries, and dismayed by the perceptual divide between city dwellers and their food, we were determined to shine light on food growing in cities everywhere. Falling Fruit is a type of matchmaking service for urban foragers. People enter an address to find the foraging opportunities that surround them – from fruits and nuts like apples (Malus sp. ), plums (Prunus sp. ), and pecans (Carya illinoinensis) to edible flowers like elderberry (Sambucus sp.) and black locust (Robinia pseudoacacia), and spices like lavender (Lavendula sp.) or pink peppercorns (Schinus molle, Schinus terebinthifolius). 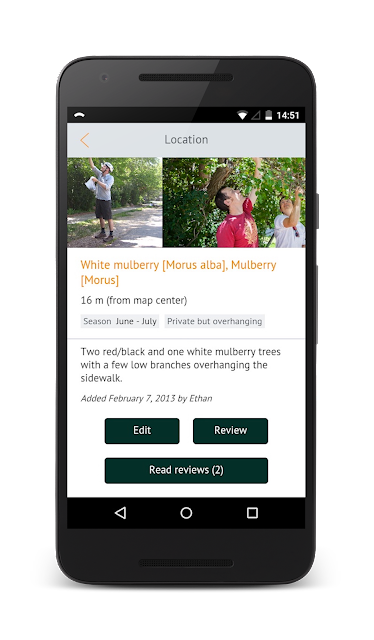 While we encourage users to submit new listings, most of our data comes from cities and universities, which often make their tree inventories publicly available. Our worldwide map lists more than 2,300 types of edibles in more than 1.3 million locations. Although most locations are publicly accessible, private property owners sometimes add themselves to the map to share their harvest with others. With locations in 111 countries and 6,340 cities (and users scattered across the globe), we rely on other Google APIs to help us break through language barriers. We use the Cloud Translation API to give human translators a head start in translating our user interfaces (the website is available in nine languages). In our larger effort to build a multilingual dictionary of species common names, we use the Custom Search API to determine which “common names” for a species in a particular language are in fact the most common. With help from Google, we can continue to use the Maps APIs without stretching our small budget too thin. The Google Maps Platform credit covers the usage cost as we attract more users to Falling Fruit. The APIs’ accurate documentation also helps us run Falling Fruit more efficiently. Tasks like converting between map coordinates and addresses now run automatically in the background, which frees up time that we can devote to other projects – like adding new features to the mobile app, importing new city tree inventories, and partnering with nonprofits with similar missions, such as Community Fruit Rescue. Once you start looking for food-bearing plants in your city, you’ll realize that you’ve been surrounded by them all along. We’re excited that Falling Fruit is helping to reimagine cities as a source of food. Over half of the world’s population lives in urban areas: We want them to realize that there is edible bounty ready to be harvested, just down the street or around the corner. As the popularity of urban foraging grows, I hope that we can organize ourselves to cultivate increasingly more food-bearing (rather than just decorative) plants in our cities. Editor’s note: Today’s post comes from Simon Banton: software professional, Stonehenge enthusiast, and creator of the Stonehenge Barrow Map. With Google Maps Platform products and some help from the Google developer community, Banton built his map in just a few days, compiling the data and adding richer details in his spare time. Discover how you can start using Google Maps Platform to visualize your passion projects. My journey into mapmaking started when I came across a 200-year-old reference to an oddly deformed, 5,500-year-old skull buried in one of the 300 Neolithic and Bronze Age barrows (burial mounds) found within walking distance of the Stonehenge prehistoric monument in Wiltshire, England. When I can spare time away from my software business, I offer tours around this unique landscape and study the barrows myself. It’s fascinating to imagine who the barrows’ inhabitants were—like the one with the intriguingly deformed skull—and what their lives were like thousands of years ago. 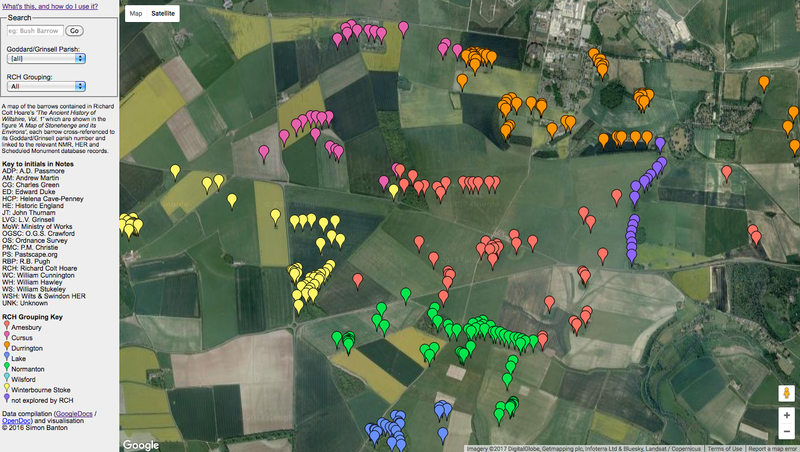 In the countryside around Stonehenge, one challenge is finding barrows and identifying them against records and maps that were created over a 200-year period. Early 1800s researchers published excellent guides to the barrows, but there were no authoritative maps and surveys of the area in those days. If you tried now to find a barrow using 200-year-old guides, modern databases wouldn’t have the same reference numbers. And, of course, there were no online sources that correlated and matched the barrow location data. It only took two days for me to create the basic map using the Charts visualization. After that, I spent one evening per week, over six months, adding barrow descriptions and images to the Google Sheet. The developers in the Google Maps forums were quick to answer my questions, such as when I needed help customizing pop-up boxes with information about each barrow. 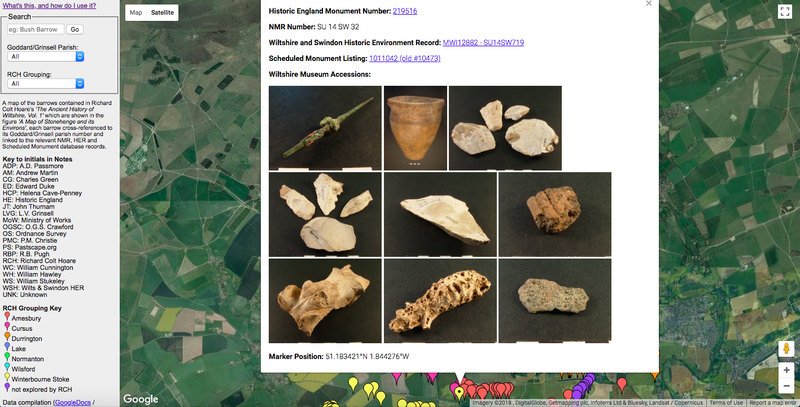 When users click on a point on the map, an info window appears with reference numbers and descriptions from 19th-century and modern-day researchers, links to data from government agencies and historical societies, and images of artifacts removed from barrows. Using the Visualization Query Language, I added a search box to the map, where people can enter keywords to find barrows by all kinds of criteria, including what artifacts were found. Almost all the barrows have been plundered for their contents in the past few centuries, but happily a great many of these treasures eventually found their way into the wonderful museums in Devizes and Salisbury. Stonehenge enthusiasts and I use the Google Map when we’re carrying out research or conducting tours, and anyone can use it just to explore the barrows for themselves. We can enter the modern reference number for a barrow, like “Wilsford G30” or “MWI12489”, find it was known to the 19th-century antiquaries as barrow “Normanton 173,” and that it was the one which contained that very odd skull. Not only are all the research links in one place, but we also get a visualization of the barrows around the Stonehenge landscape. That helps us ponder questions such as why barrows were clustered together, and which materials were buried where and at different times in prehistory. I’ve had people ask me to expand my map to include the barrows in the Avebury landscape, or even those in the neighbouring counties of Dorset and Hampshire. That’d be an enormous undertaking, so it’s a project for someone else. To help anyone interested in pursuing that goal, I’ve kept the map code as simple as possible. I’ve posted the Google Docs barrow spreadsheet for download so other people can use it as a template for their own maps. While much about the barrows remains a mystery—such as what happened to the skeleton of the person with the deformed skull—I’d like to think that future researchers, using Google Maps like mine, may help to uncover some of the answers. Editor's Note: Today’s blog is the first in a series of posts highlighting our support for Google public programs. Eligible nonprofits, startups, crisis response, and news media organizations may apply for Google Maps Platform credits through Google for Nonprofits, the Google Cloud Startup Program, Google Crisis Response and the Google News Initiative. This post comes from Alison Cohen, Senior Director of Programs for WhyHunger. The nonprofit helps communities develop sustainable solutions for ending hunger and poverty. 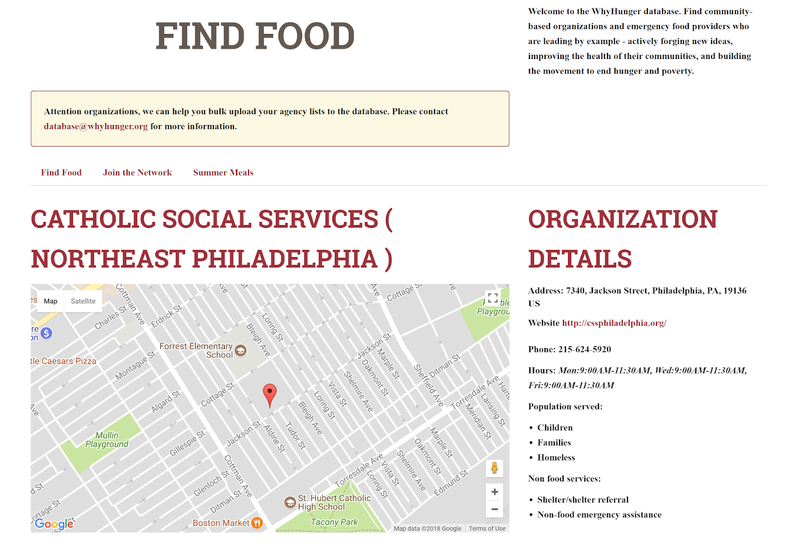 WhyHunger was able to access Google Maps Platform through Google for Nonprofits to build its Find Food map. Learn more about the products and resources available through Google for Nonprofits. When people are hungry, they may not know where to turn for food – and they may be hesitant to ask for help. At WhyHunger, we want to remove the barriers that keep people from getting the help they need to stay healthy and thrive. We support grassroots groups that are tackling hunger in their communities, such as food banks and meal programs. 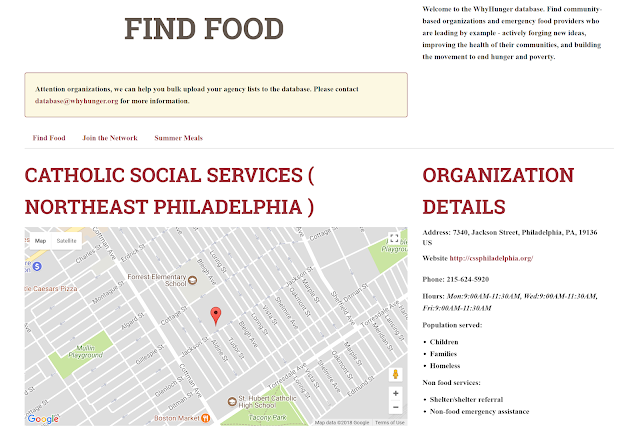 Google Maps brings our database of 23,000 emergency food providers to our website, so no one has to go hungry. Many resources for food justice operate at the local level. We work to knit together organizations around the country that have the common goal of alleviating hunger and poverty – for example, sharing ideas for successful programs, and advocating for food as a basic human right. Our database is one way for us to look at food programs at a national level, and break down information so people can discover what’s available in the areas where they live. The WhyHunger Find Food tool uses Google Maps Platform to display food resources based on a zip code. The search results include phone numbers, addresses, and the type of programs available. Accessing Google Maps through Google for Nonprofits also helps us cover the costs, as more people use the maps to search for food. If we didn’t have access to these programs, it would have taken us much longer to create the map, and we would not be able to quickly connect users to essential resources. We started using Google Maps because the maps are easy to both build and use. People seeking food sources don’t need to wrestle with complicated maps. 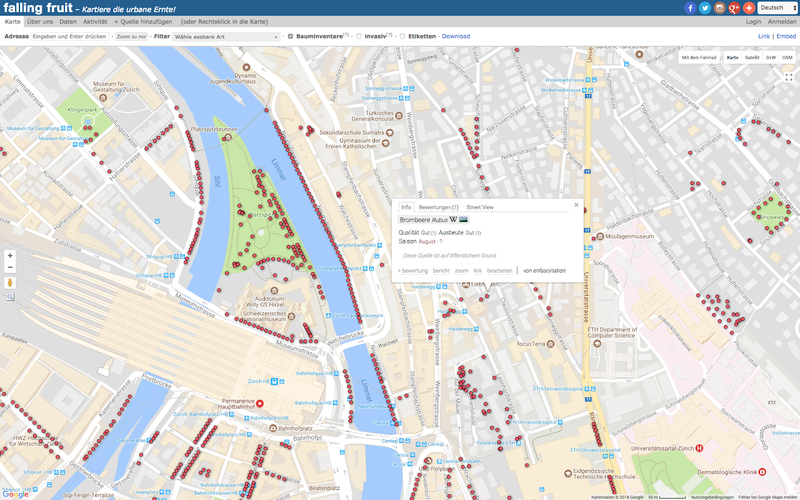 We briefly considered open-source map APIs, but they did not compare to Google Maps, which are the most accurate and comprehensive ones we’ve used. Accuracy is important for maps that show as many locations as ours do. We want people using our maps to see exact locations for food sources so they get what they need as quickly as possible. We also rely on the maps ourselves: When people call our Hunger Hotline at 1-800-5HUNGRY, staff can quickly look at the Find Food map and tell callers what’s available locally and how to get there. People are now increasingly going directly to the maps instead of calling us first. 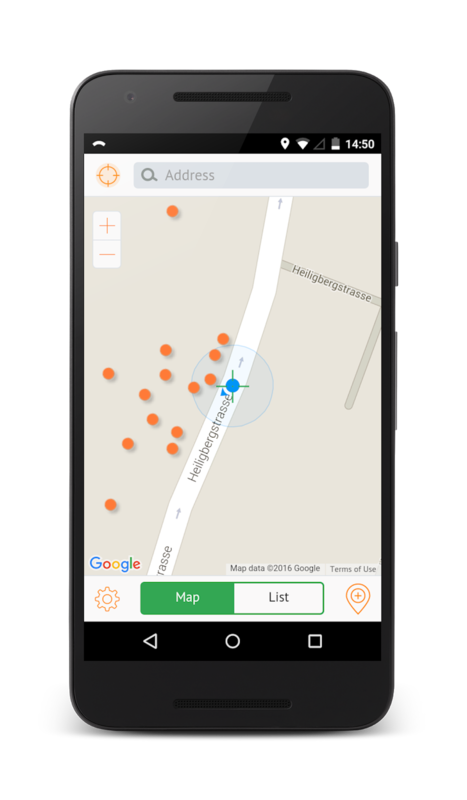 Since the updated Find Food Map launched in 2015 an average of 9,000 people search the map per month, compared with 1,000 callers. The time we save on coding maps and managing data is now spent on coming up with new ways to help hungry people get healthy food and address the root causes of hunger. When our Hunger Hotline service isn’t available, people can text a zip code to the hotline, and receive a text message with names and addresses of the 10 closest food sites. In the future, we hope to develop more ways to use Google Maps and our food program data to tackle hunger, community by community. Google is committed to supporting organizations with public programs that provide access to our products, people and resources. We're proud to support organizations like Code.org, Charity:water, Hostelling International and more to connect people to resources and help visualize the impact their organizations are making in the communities where they serve. With our recent launch of Google Maps Platform, in addition to nonprofits, we’re now able to offer startups, crisis responders and news organizations Google Maps Platform at a reduced rate, or at no cost to their organizations. We’re also increasing our availability from seven to 50 countries so we can support even more global communities and programs. Eligible organizations may apply for Google Maps Platform credits to support their organizations' efforts. You can learn more about eligibility and how to apply in our Understanding Public Programs page. If you are a nonprofit, startup, crisis response, or news media organization, we hope that you take advantage of these programs and apply for Google Maps Platform credits today. Set up a Google Cloud Platform Console account with your billing information. Ensure that you are using a valid API key to access our core products. Try the new features and learn more about how to optimize your API usage in our Optimization Guide. To provide you with an additional month of lead time, our new terms and pricing won’t go into effect until July 16. If you have questions about the changes and the new pricing plan, please review the Important Updates page in our documentation. It will help you familiarize yourself with the changes and includes a new pricing calculator to help you understand your usage. It’s been thirteen years since we opened up Google Maps to your creativity and passion. Since then, it's been exciting to see how you've transformed your industries and improved people's lives. You’ve changed the way we ride to work, discover the best schools for our children, and search for a new place to live. We can’t wait to see what you do next. That’s why today we’re introducing a series of updates designed to make it easier for you to start taking advantage of new location-based features and products. 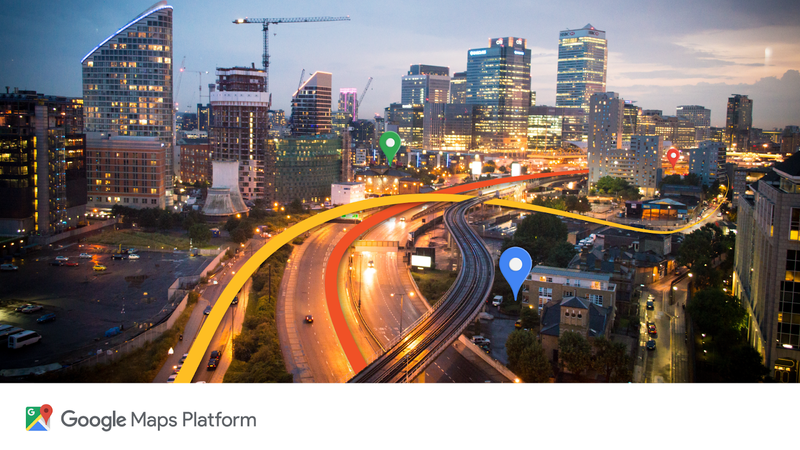 We’re excited to announce Google Maps Platform—the next generation of our Google Maps business—encompassing streamlined API products and new industry solutions to help drive innovation. In March, we announced our first industry solution for game studios to create real-world games using Google Maps data. Today, we also offer solutions tailored for ridesharing and asset tracking companies. Ridesharing companies can embed the Google Maps navigation experience directly into their apps to optimize the driver and customer experience. Our asset tracking offering helps businesses improve efficiencies by locating vehicles and assets in real-time, visualizing where assets have traveled, and routing vehicles with complex trips. We expect to bring new solutions to market in the future, in areas where we’re positioned to offer insights and expertise. Our core APIs work together to provide the building blocks you need to create location-based apps and experiences. One of our goals is to evolve our core APIs to make them simpler, easier to use and scalable as you grow. That’s why we’ve introduced a number of updates to help you do so. We’re simplifying our 18 individual APIs into three core products—Maps, Routes and Places, to make it easier for you to find, explore and add new features to your apps and sites. And, these new updates will work with your existing code—no changes required. We’ve heard that you want simple, easy to understand pricing that gives you access to all our core APIs. That’s one of the reasons we merged our Standard and Premium plans to form one pay-as-you go pricing plan for our core products. With this new plan, developers will receive the first $200 of monthly usage for free. We estimate that most of you will have monthly usage that will keep you within this free tier. With this new pricing plan you’ll pay only for the services you use each month with no annual, up-front commitments, termination fees or usage limits. And we’re rolling out free customer support for all. In addition, our products are now integrated with Google Cloud Platform Console to make it easier for you to track your usage, manage your projects, and discover new innovative Cloud products. Beginning June 11, you’ll need a valid API key and a Google Cloud Platform billing account to access our core products. Once you enable billing, you will gain access to your $200 of free monthly usage to use for our Maps, Routes, and Places products. As your business grows or usage spikes, our plan will scale with you. And, with Google Maps’ global infrastructure, you can scale without thinking about capacity, reliability, or performance. We’ll continue to partner with Google programs that bring our products to nonprofits, startups, crisis response, and news media organizations. We’ve put new processes in place to help us scale these programs to hundreds of thousands of organizations and more countries around the world. We’re excited about all the new location-based experiences you’ll build, and we want to be there to support you along the way. If you're currently using our core APIs, please take a look at our Guide for Existing Users to further understand these changes and help you easily transition to the new plan. And if you’re just getting started, you can start your first project here. We're here to help.